Eat, Drink & Be Merry this Season of Celebration! 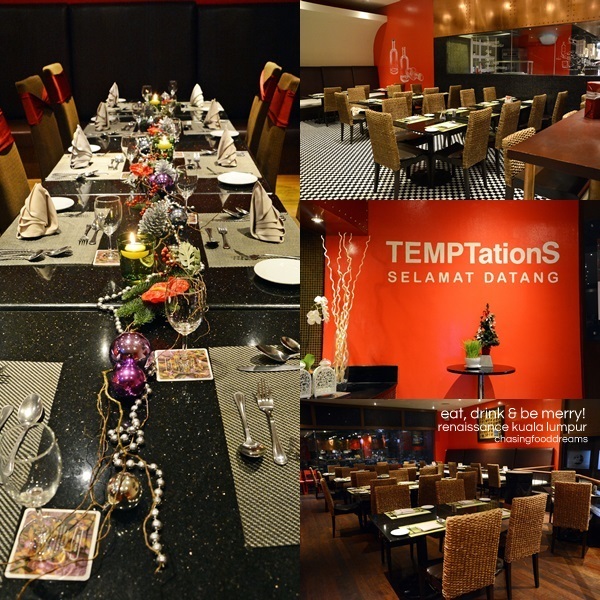 Feast on a splendor of festive treats at Renaissance Kuala Lumpur Hotel at TEMPTations this December month with family and friends. 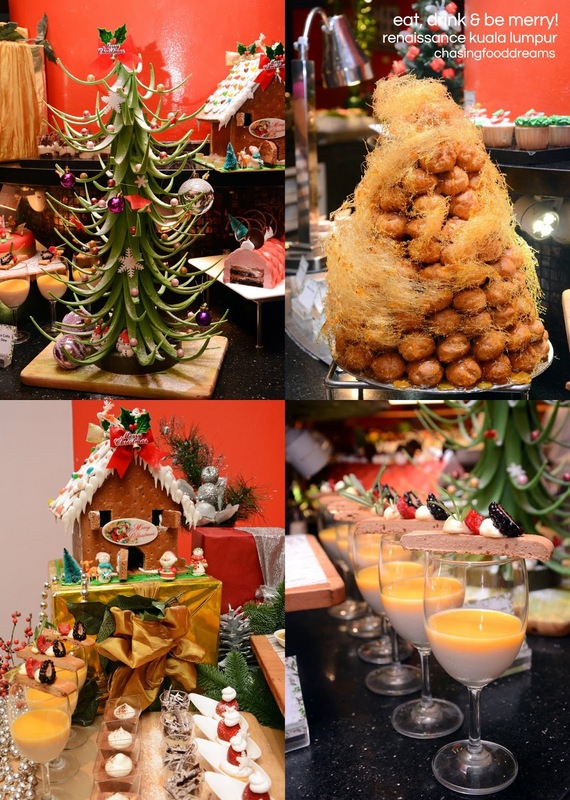 WACS Global Master Chef Helmut Lamberger and his culinary team are going all out with their specially crafted festive feasts for Christmas Eve Christmas Day, New Year’s Eve and New Year’s Day. 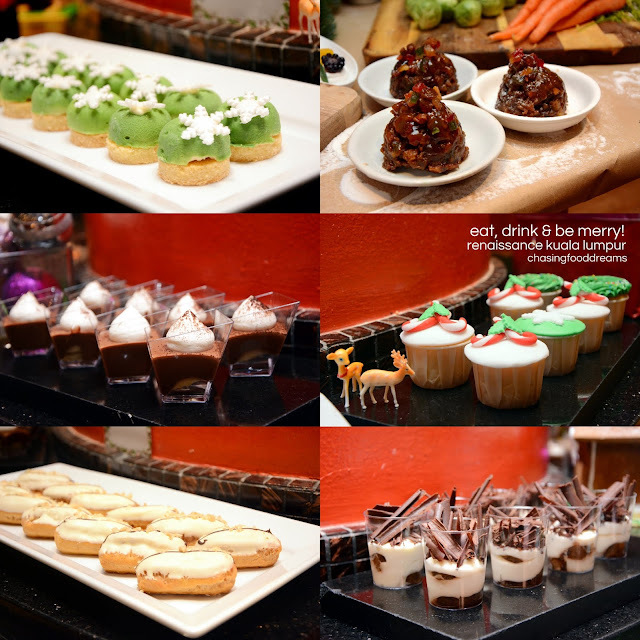 Here’s a sneak peek at what TEMPTations is offering for their buffet spread for the festive days. Starting off with the main festive highlights, tuck into the perennial Whole Roasted Turkey with all the trimmings of stuffing, cranberry compote, giblet gravy and roasted vegetables. How can one say no to glorious Roast Prime Beef Ribs with Yorkshire Pudding! Beautiful pink slices of juicy beef makes the festive celebration even better…. Check out the chilled bar of Seafood on Ice and cold appetizers of Gravlax with Honey Mustard Sauce, Vegetable Terrine with Leek & Walnut Dressing, Salmon & Egg Mayo Salad in Endive, Smoked Chicken & Pineapple with Frisee Salad and more. The hot buffet warmers are filled with loads of deliciousness too. From Chicken Stroganoff with Potato Gnocchi, Baked Salmon with Vegetable & Lime Salsa, Turkey Breast with Braised Red Cabbage & Cranberry Sauce to Roasted Lamb Leg with Pumpkin Mashed & Thyme Sauce, Beef Mignon Steaks with Dijon Mustard Sauce, Prawn with Garlic, Shallot & Chili Flakes, Roasted Potatoes with Honey Pecan Nut and Braised Endive with Honey & Mushrooms, there’s plenty of choices for everyone. 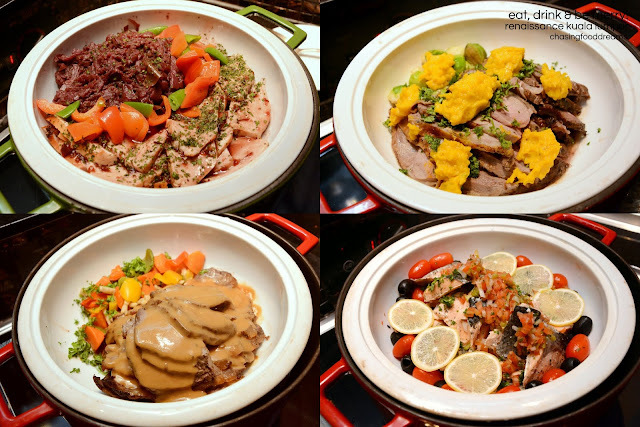 Besides all the scrumptious festive dishes, there are also some other cuisines and our own local dishes as well. 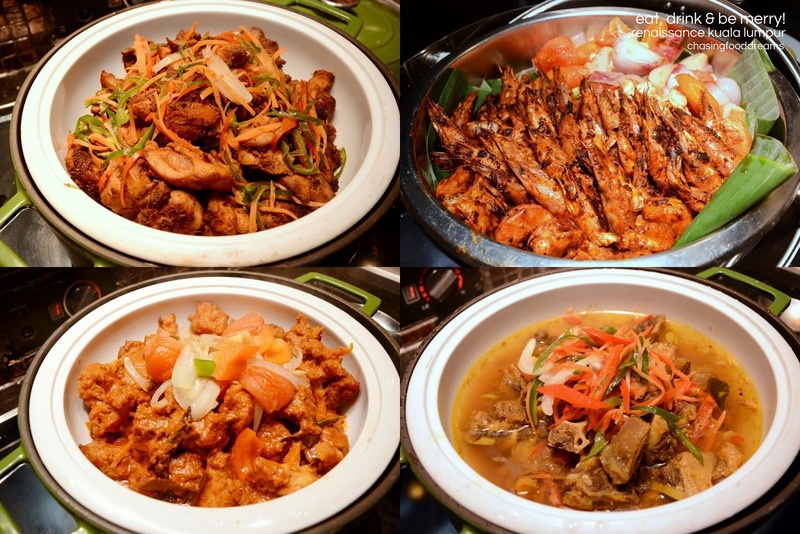 From the Japanese station filled with Sashimi, Edamame, Seaweed Salad, Baby Octopus and more, there’s also Stuffed Mushrooms, Scallops with Snow Peas, Ayam Goreng Berempah, Fish Curry, Ekor Daging Masak Singgang Pedas and a whole lot more. Any feast will always be sweeter with a sweet ending! There’s no better time that this festive season to indulge in gorgeous desserts such as Croquembouche, Christmas Stolen, Yuletide Log, Fruit Cake, Cupcake, Christmas Pudding, Eclairs, Tiramisu, Santa Fruit Pavlova, Chocolate Mousse, Lemon Meringue and a whole lot more of sweet treats. Be sure to catch Santa Claus who will be bearing gifts for the little ones during the Christmas Eve Dinner Buffet and Christmas Day Long Lunch Buffet. 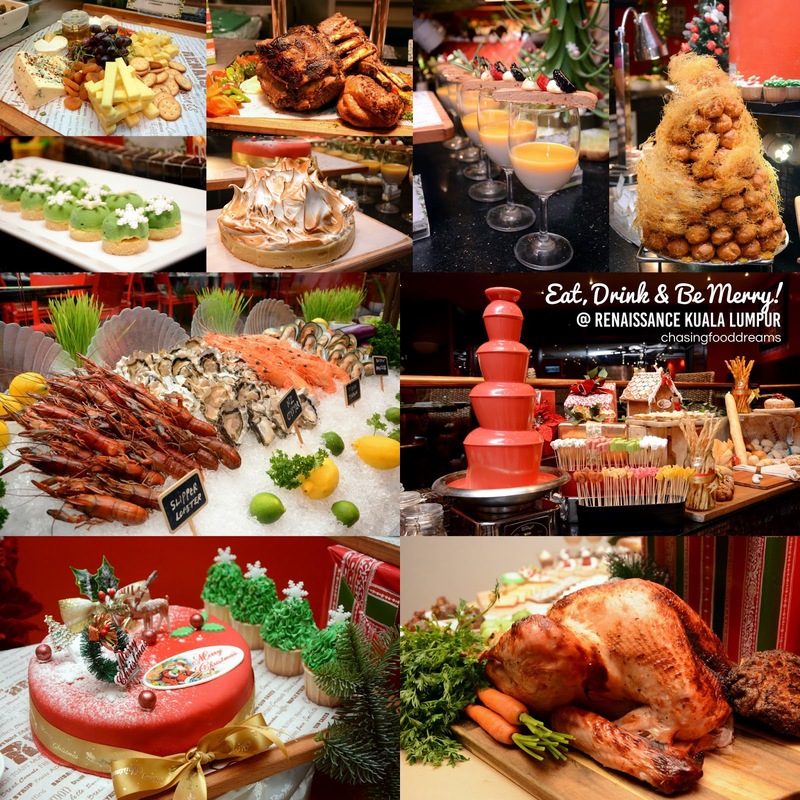 There are more specials for the festive season at Renaissance Kuala Lumpur Hotel, so head over to their website or Facebook for more details of festive promotions. 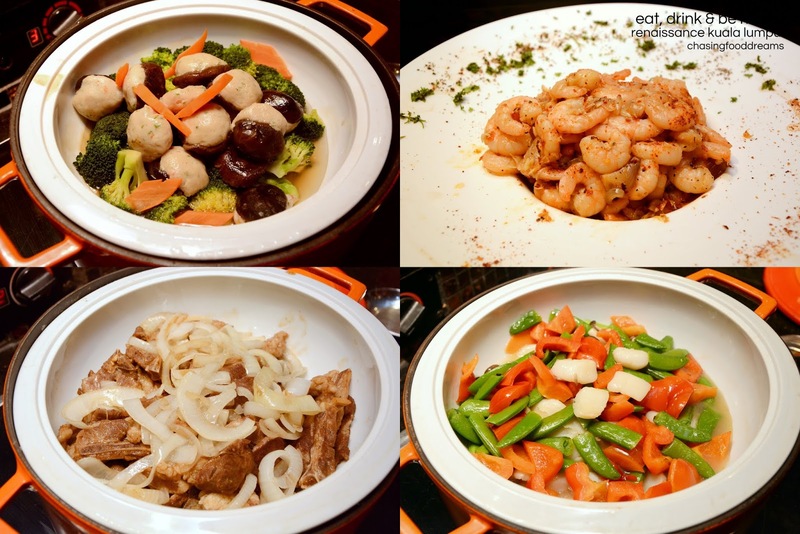 All Buffets are half price for children between the ages of 6 to 12 years.